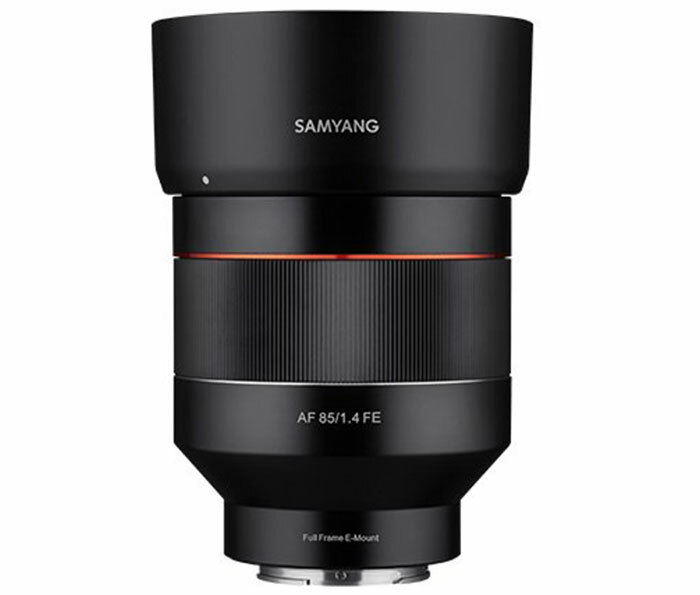 I just found out that 5.0 will be released on 3/25 through our Sony representative. 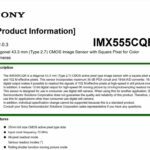 Is this a teaser for a new Sony 8K mirrorless camera or camcorder? We know that Sony will have a new product launch event on April 7. 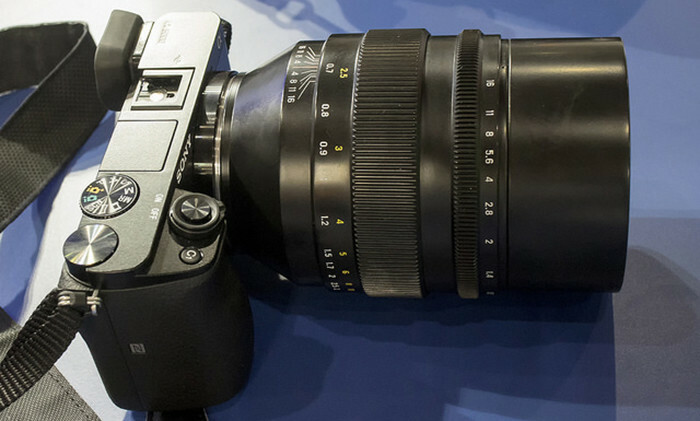 And we heard that a new Sony 8k codec will be unveiled. 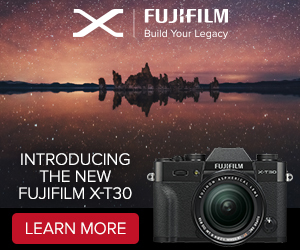 We also heard unconfirmed info (SR3) about a new Sony RX vloggers camera using the new codec. 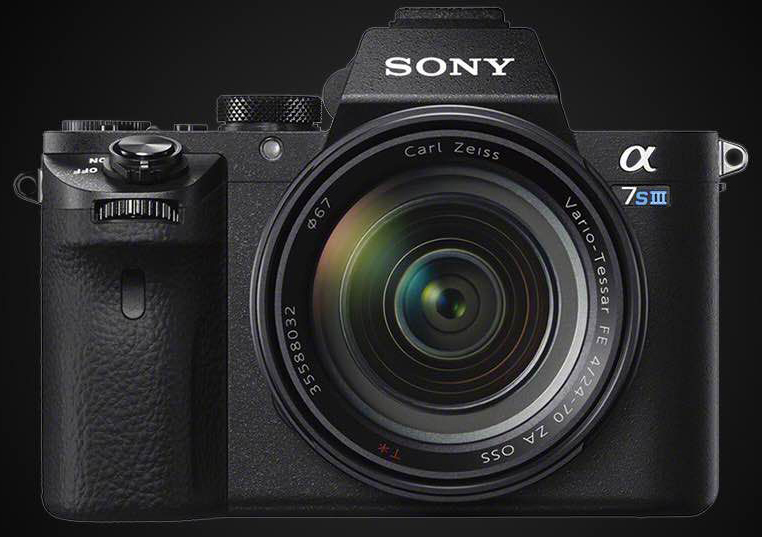 The A7sIII seems likely to be NOT announced at the show (best we can hope is to get some early prototype info). A very well-known and highly respected cinematography channel in China posted this photo saying it’s shot by a 8K 25P camera. 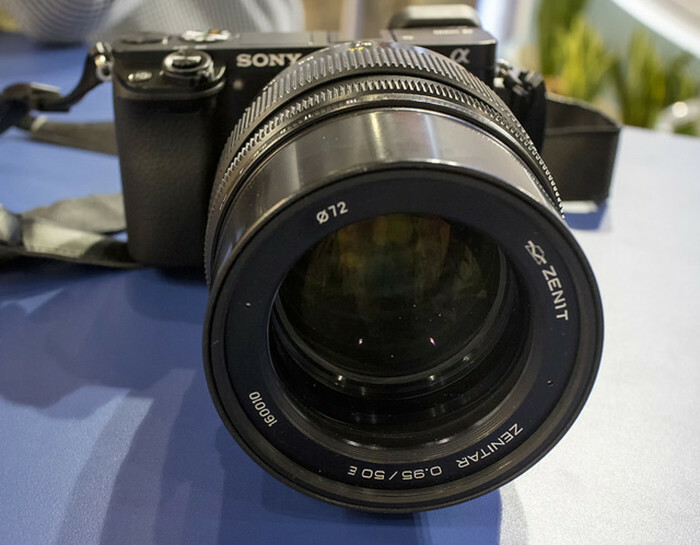 And then they said on Weibo that it’s a Sony mirrorless camera. Then they deleted everything before the internet stirs. 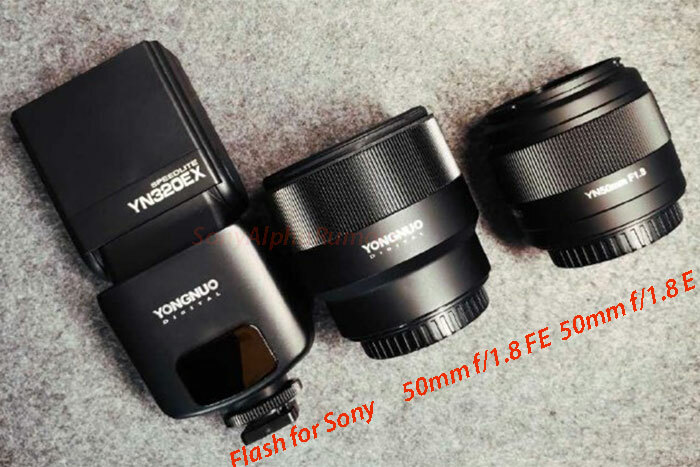 I couldn’t get a screenshot from their Weibo account saying it’s a Sony mirrorless. I’m not quite sure what’s happening here. Question to a top source: What’s the “revolution”? To SAR readers: Sorry if I am posting this here but the source only uses the anonymous contact box and I have no other way to contact him back and ask him for specifics. 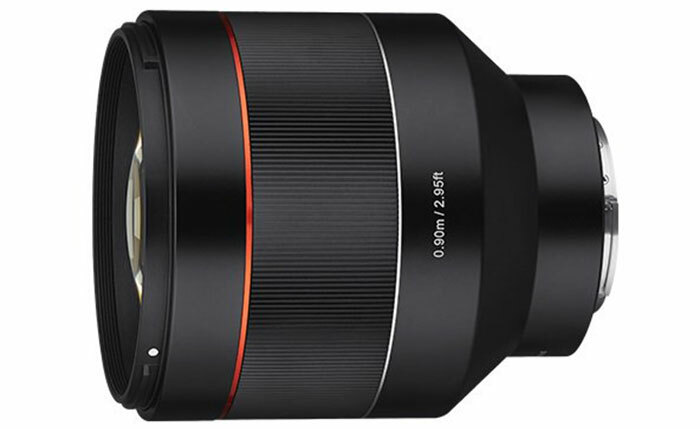 Here are two new leaked images of the Samyang 85mm f/1.4 autofocus FE lens that will be announced soon. 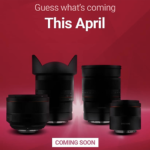 (SR3) New Zenitar 50mm f/0.95 E-mount lens to be announced on March 15? 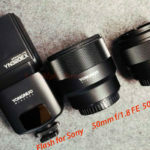 Mirrorlessrumors reports that the russian company Zenit might announce a new Zenitar 50mm f/0.95 E-mount lens on March 15. 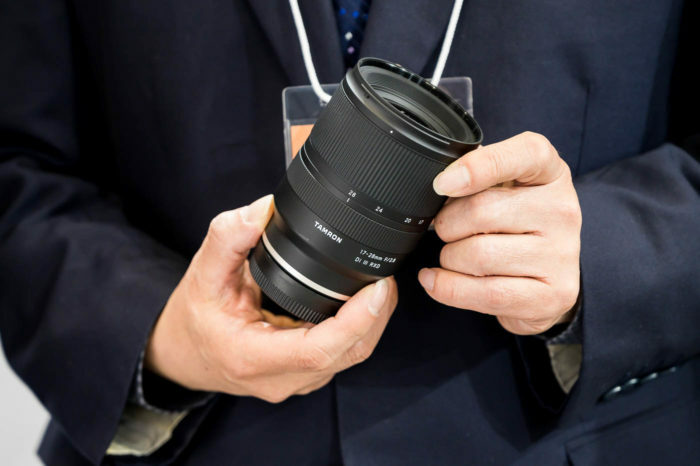 This lens has been displayed two years ago but we haven’t heard back anything since than. 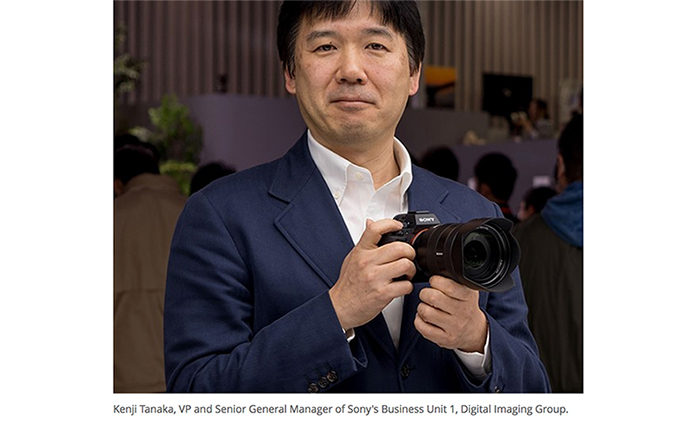 Next Sony product announcement on April 7. 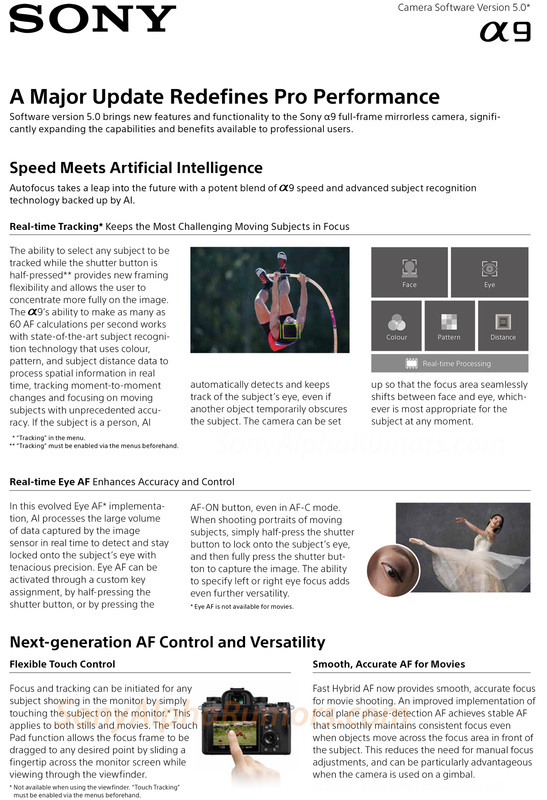 New 8K codec presentation…and some “hints” about the next generation A7sIII? On April 7 at 2pm Las Vegas time Sony will have a new press conference with product announcements. 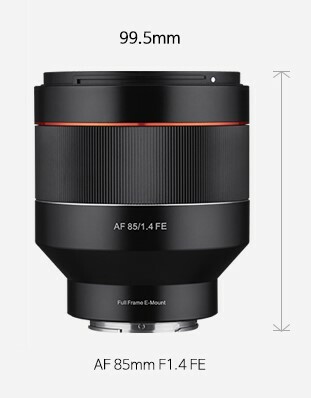 From what I heard the A7sIII is not going to be on market any time soon. At best by late 2019. But I don’t know if Sony will still show some early prototype at the NAB show or gives us at least some early specs. 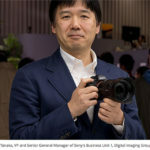 All we know for sure is that Sony plans to announce at least one more E-mount camera in Q2 (between April and June). 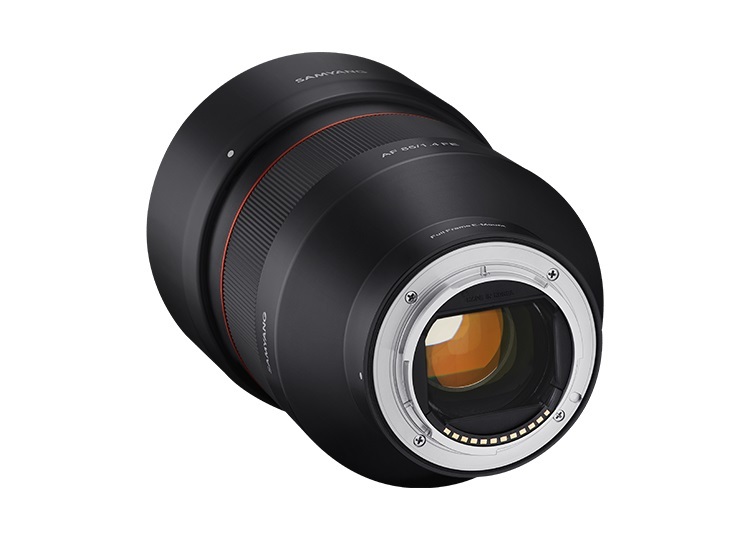 Hot candidates are the new A6500 successor and the A7sIII (as prototype). 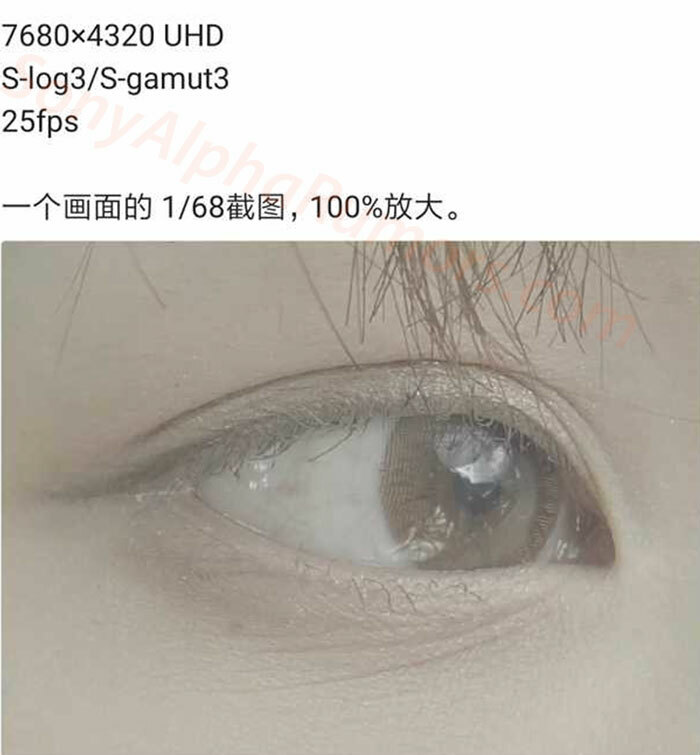 What’s likely is that Sony might gives us some clue on the leaked 8K codec we report about some time ago. 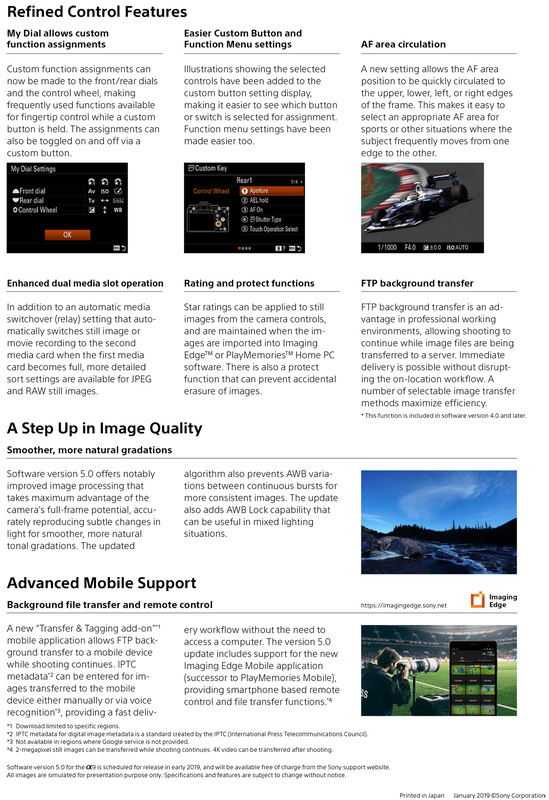 FACT: Sony confirms professional APS-C cameras are on their roadmap (article here). 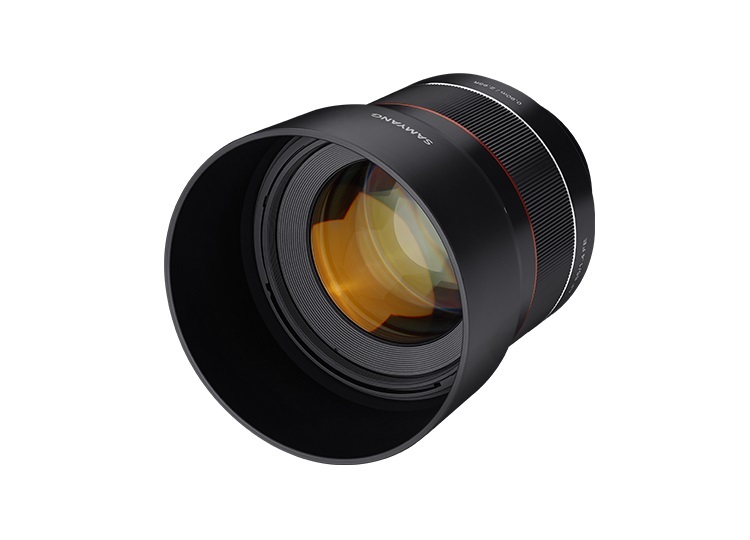 RUMOR: RX model made for Vloggers. With dual slot andbrand new video code (50% reliable – article here).